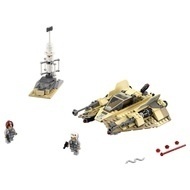 - Includes 2 minifigures: a Sandspeeder Pilot and a Sandspeeder Gunner. 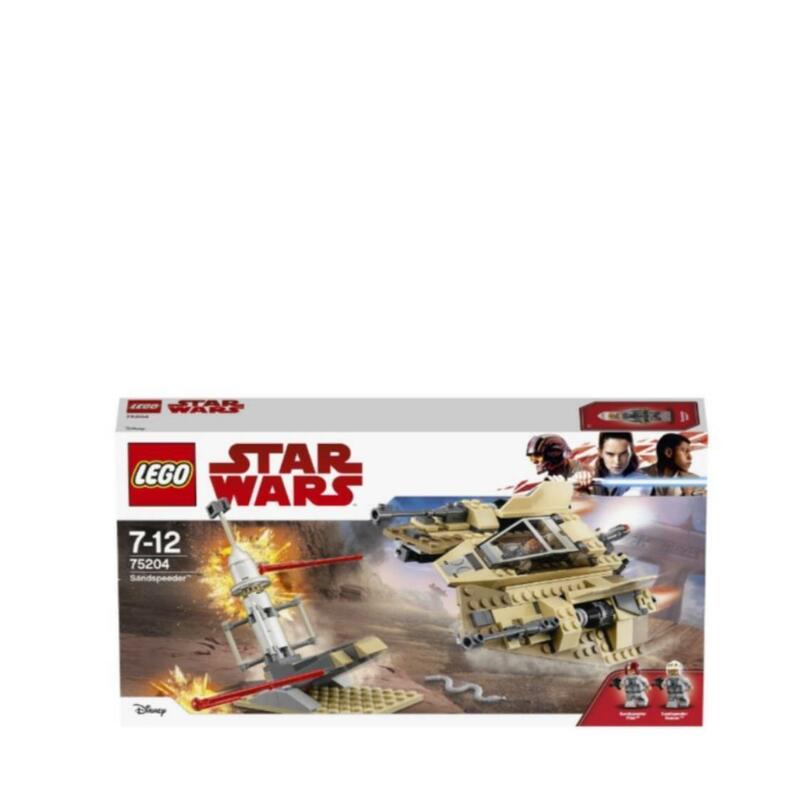 - Sandspeeder features an opening minifigure cockpit, spring-loaded shooters and sand-colored camouflage elements. - Also includes a moisture vaporator build with topple function. 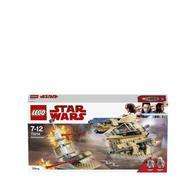 - Sandspeeder measures over 2” (6cm) high, 6” (17cm) long and 5” (14cm) wide. - Vaporator measures over 5” (13cm) high, 1” (5cm) wide and 3” (10cm) deep.